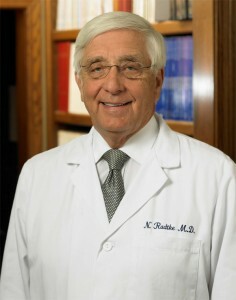 Norman D. Radtke, M.D. is fully trained to care for all medical and surgical problems related to the retina and vitreous. He is certified by the American Board of Ophthalmology and is a Fellow of the American college of Surgeons. Dr. Radtke is internationally recognized for his research, teaching, and lecturing on diabetes mellitus, age-related macular degeneration, retinal transplantation, and retina and vitreous surgery to ophthalmologists in the United States and abroad. He also serves as Adjunct Professor at the University of Louisville in the Department of Psychology and Brain Sciences. Dr. Radtke is a leading authority on diabetes of the eye. Dr. Radtke is actively involved in clinical and basic science of diabetic research, with particular emphasis on problems relating to the eye.